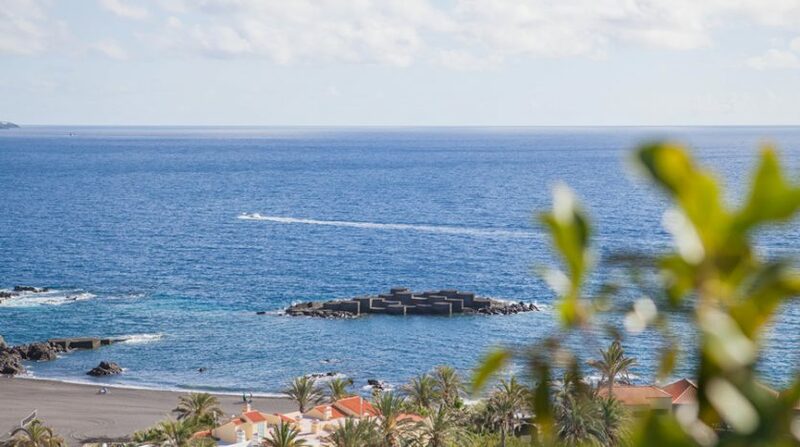 UNIQUE OBJECT ON LA PALMA !!! 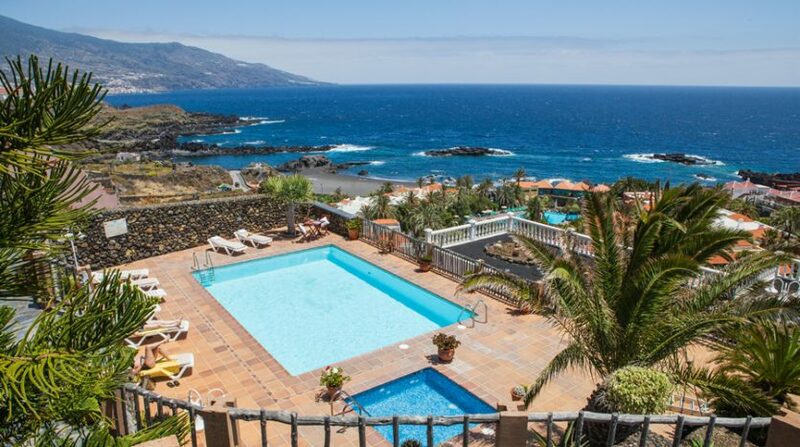 A successful complex (Booking, Alltours, etc.) 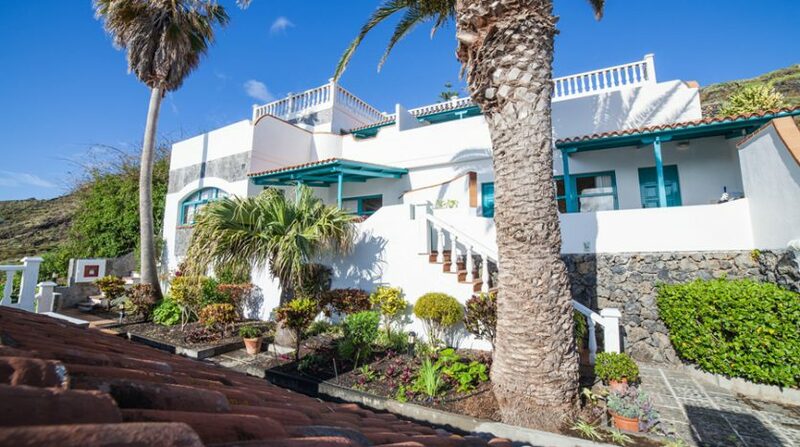 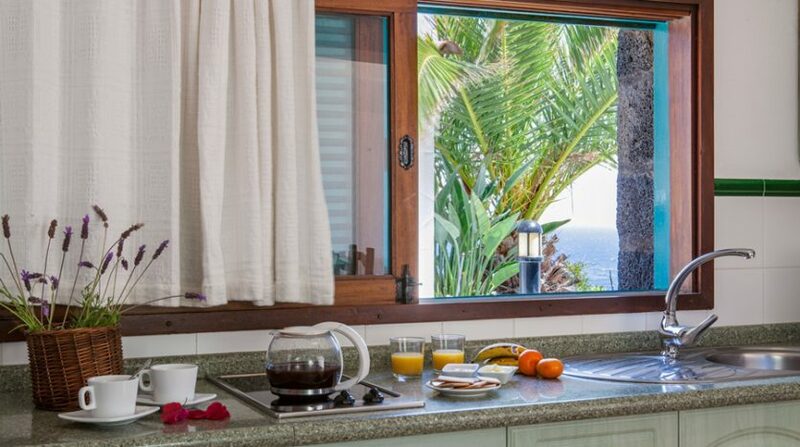 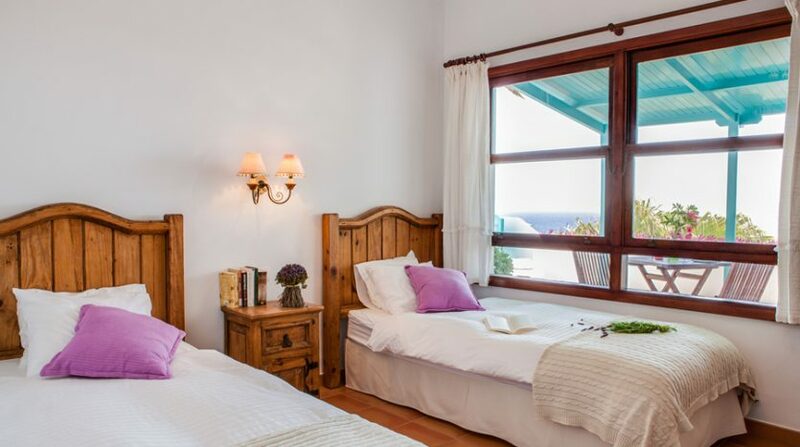 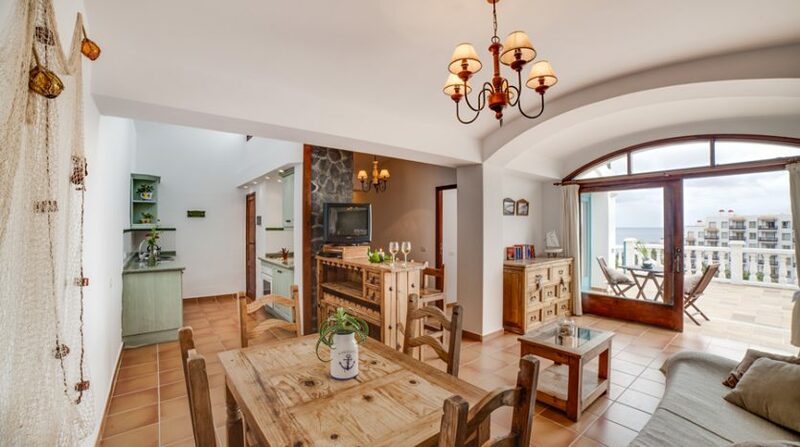 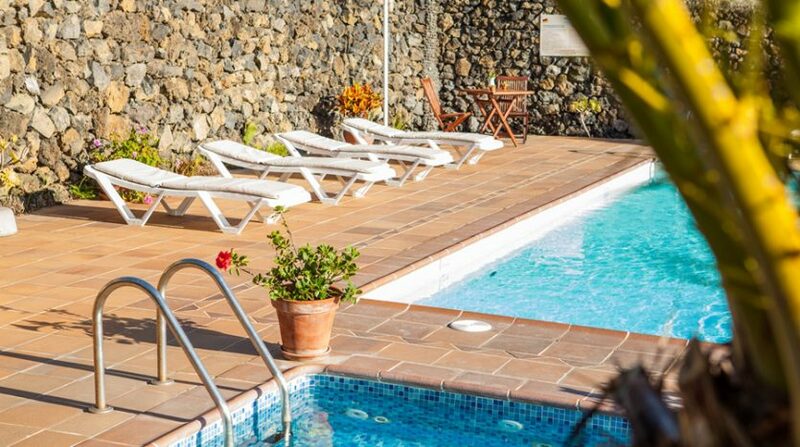 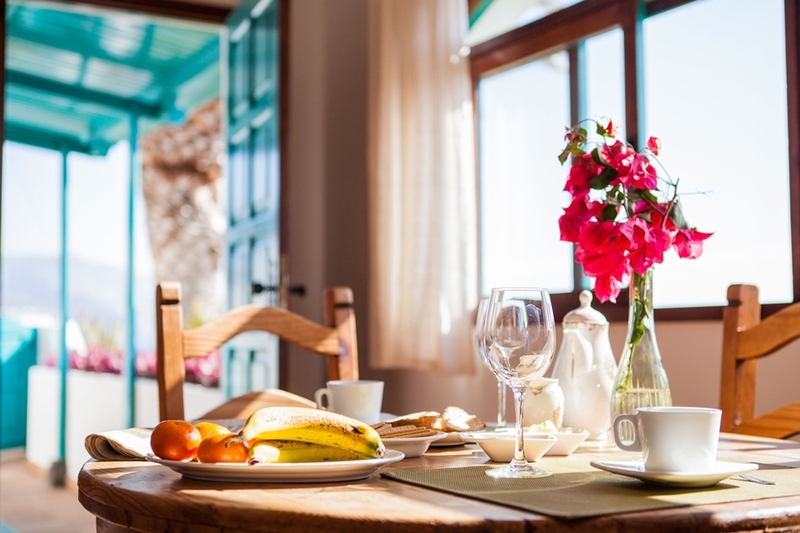 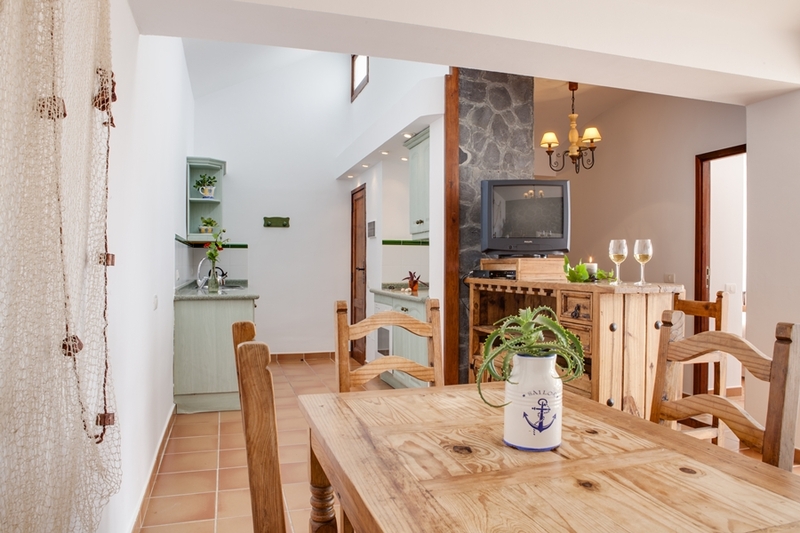 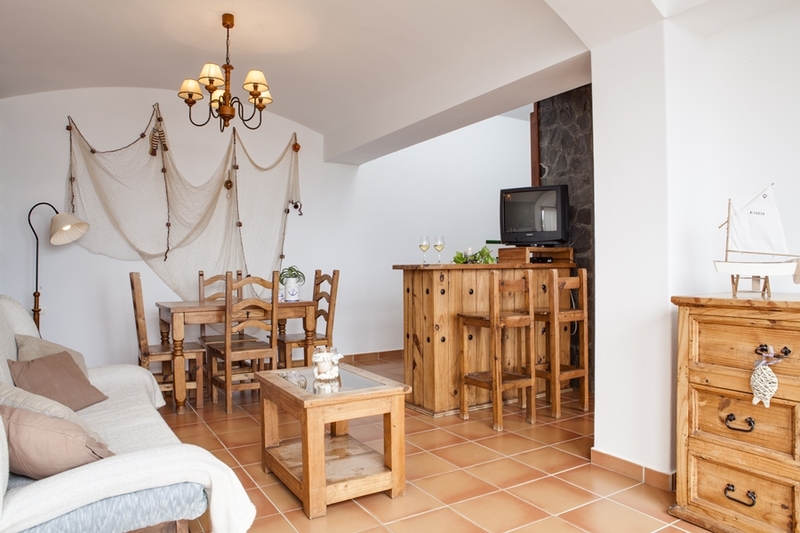 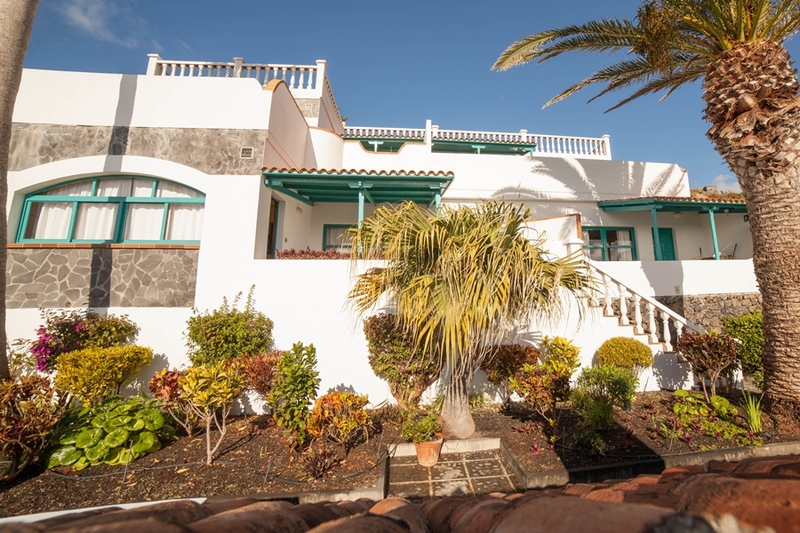 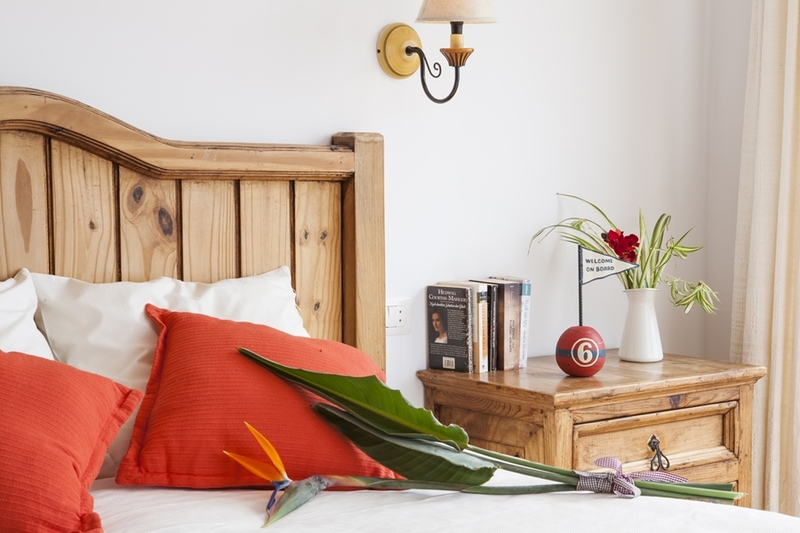 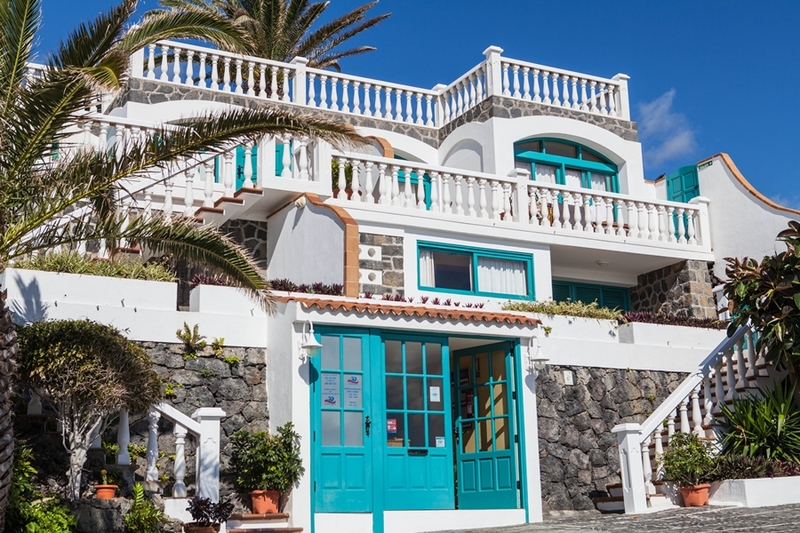 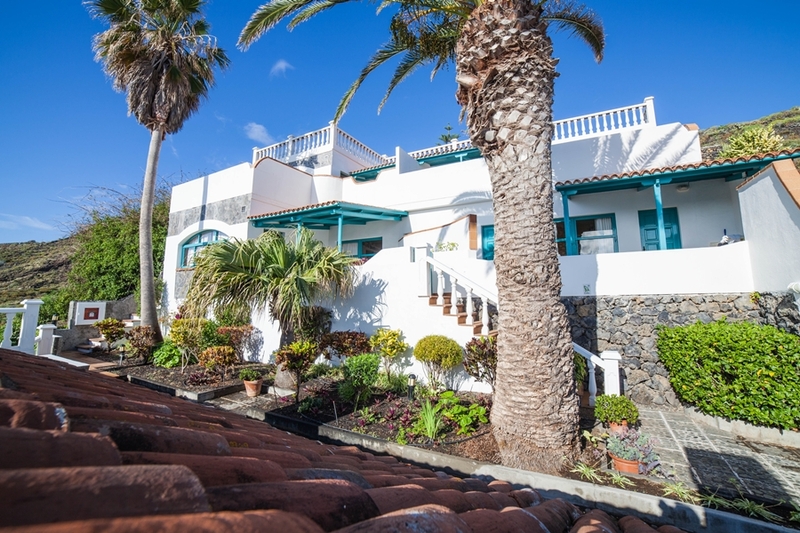 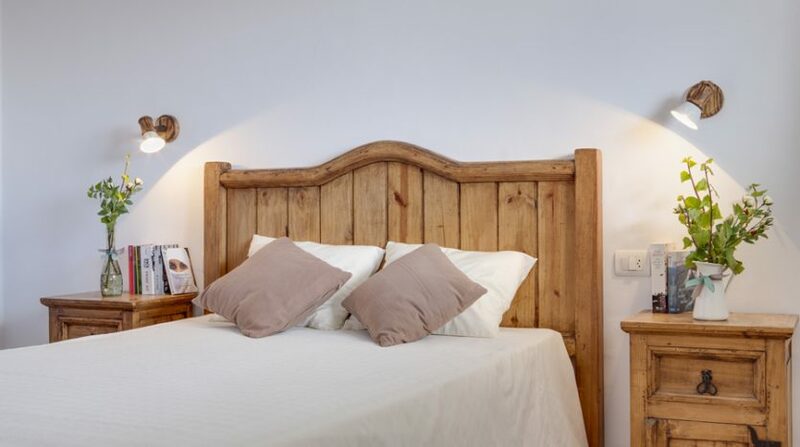 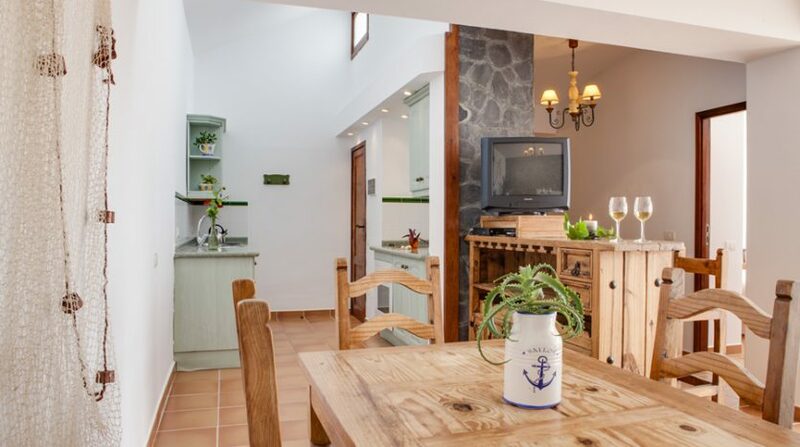 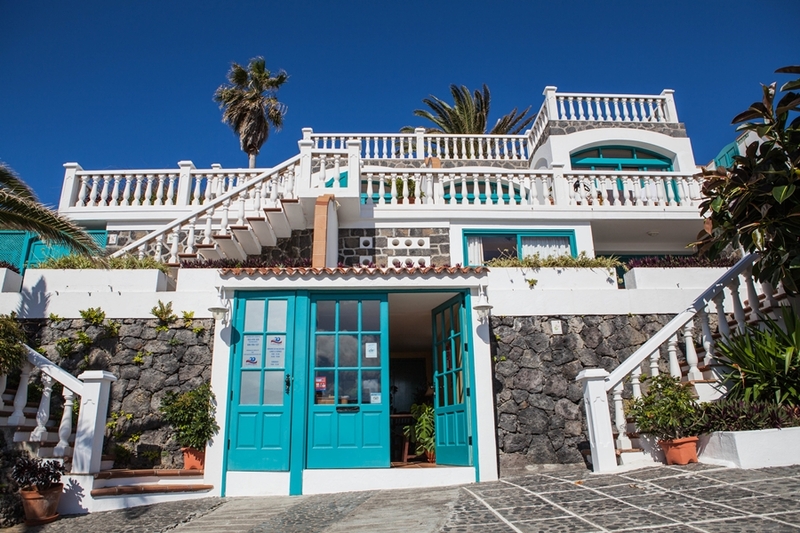 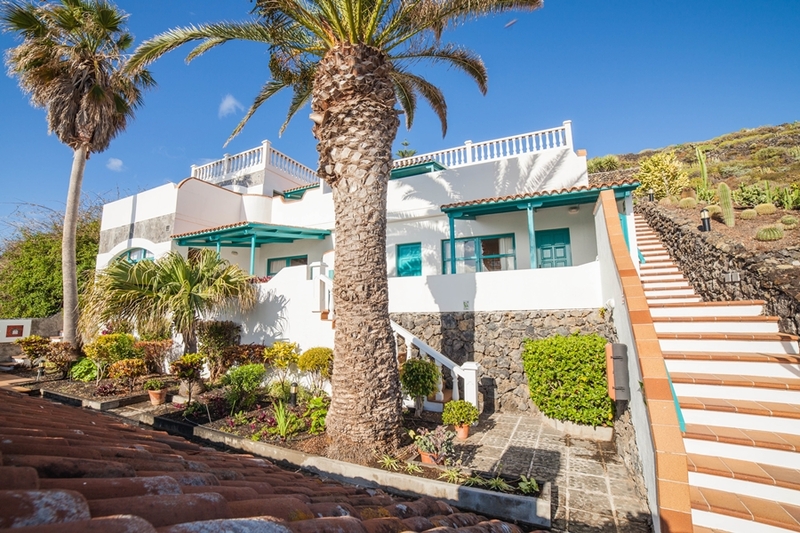 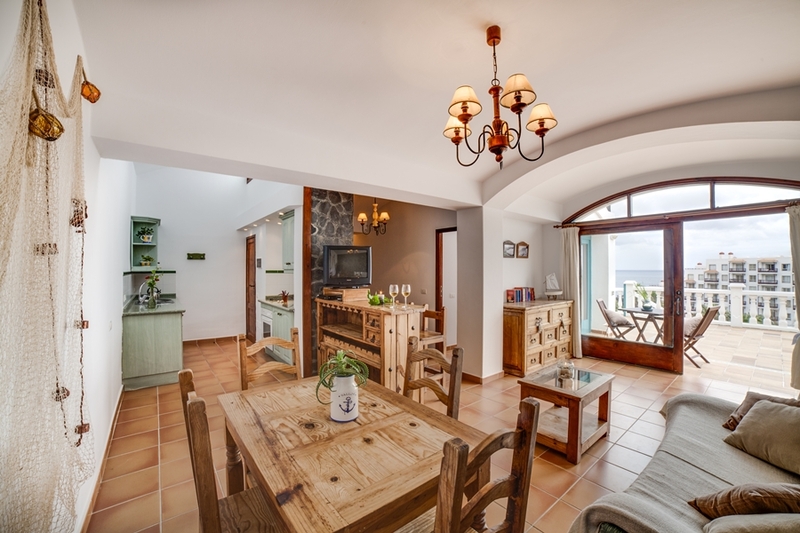 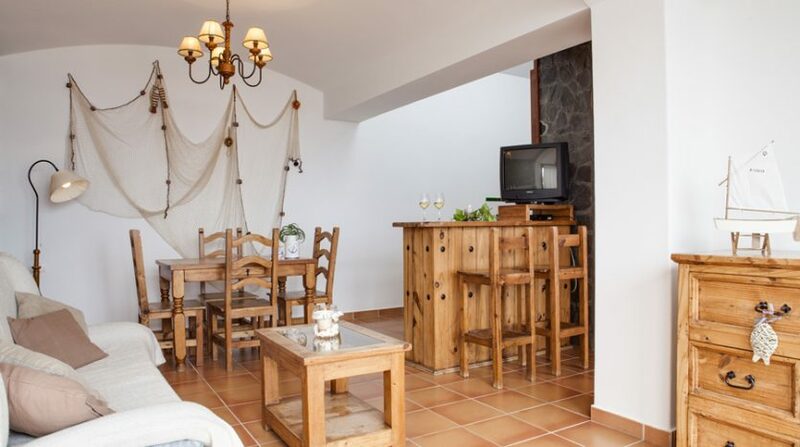 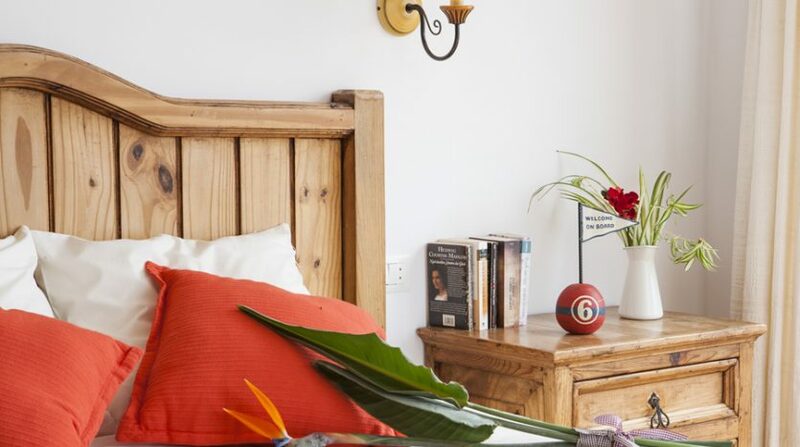 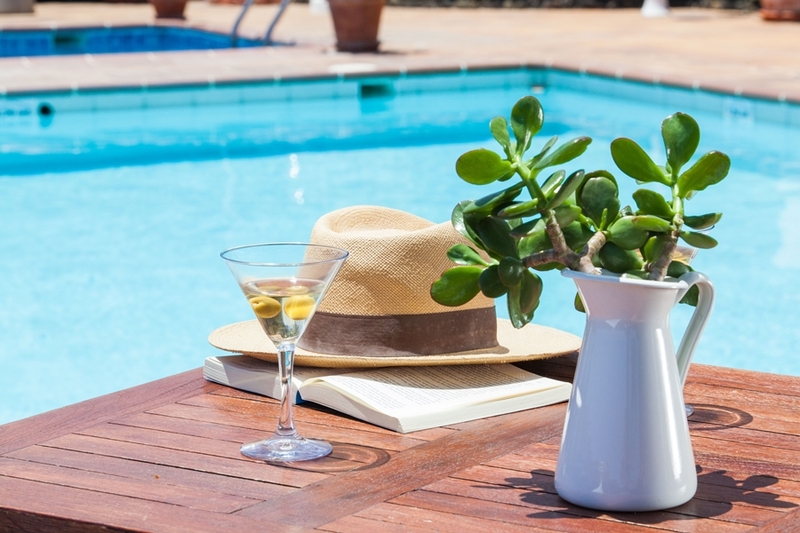 in Los Cancajos, with eight modern apartments, two swimming pools and a general barbecue area, ensuring a pleasant stay on La Palma. 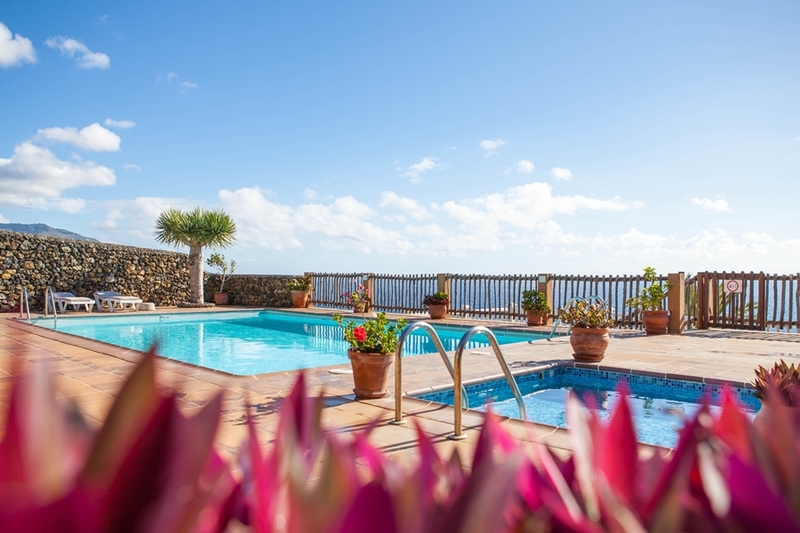 The complex was purchased by the current owner in 1997 and completely renovated during one year. 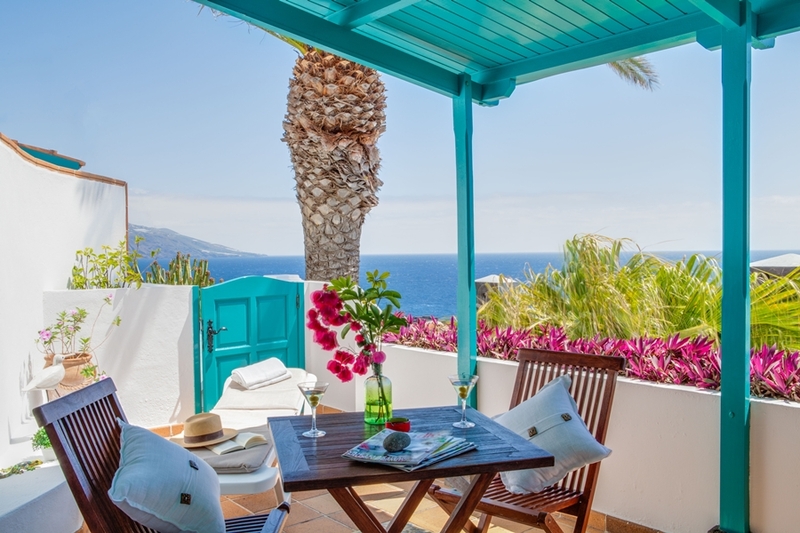 All apartments have a lot of privacy on their own terrace and of course they have a beautiful sea view, partly thanks to the structure of the complex at several levels. 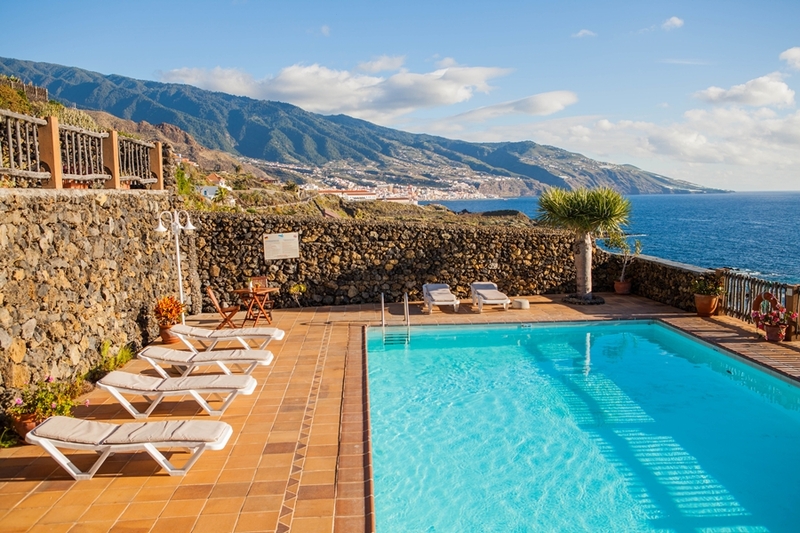 The complex is located at sea level, the ideal altitude with a relatively mild climate. 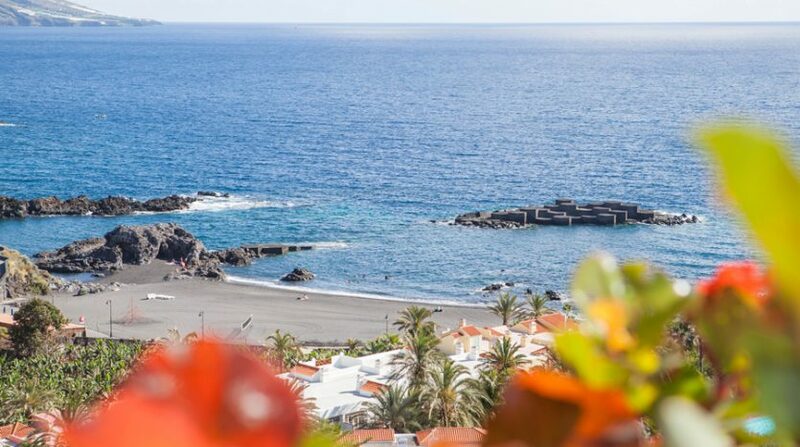 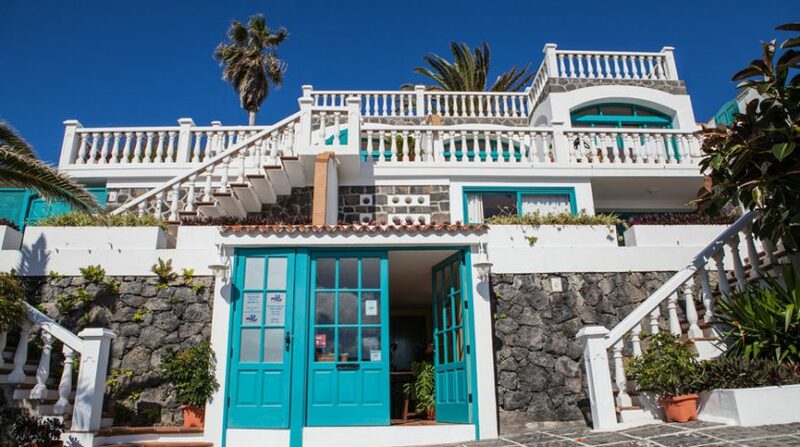 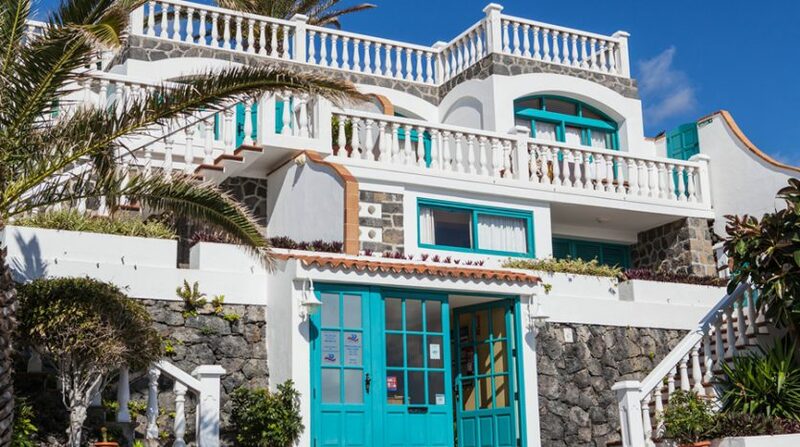 Furthermore, the central location is also ideal for making trips to the beach (in Los Cancajos) or Santa Cruz de La Palma. 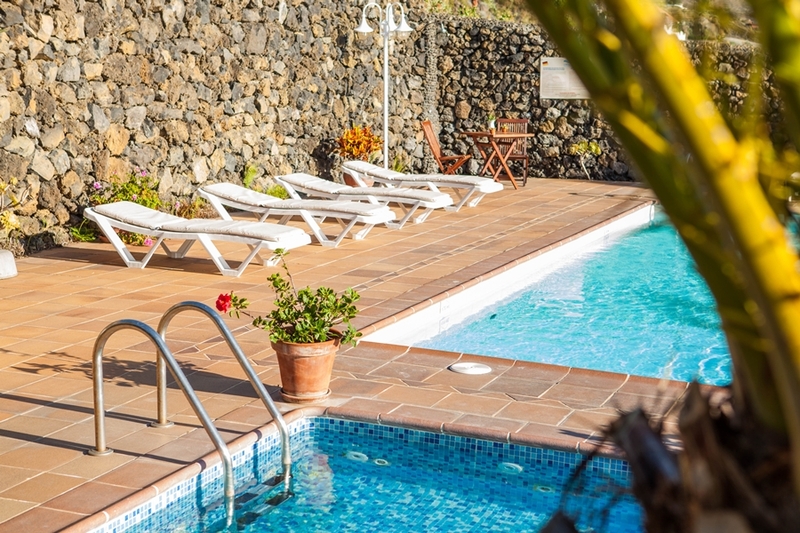 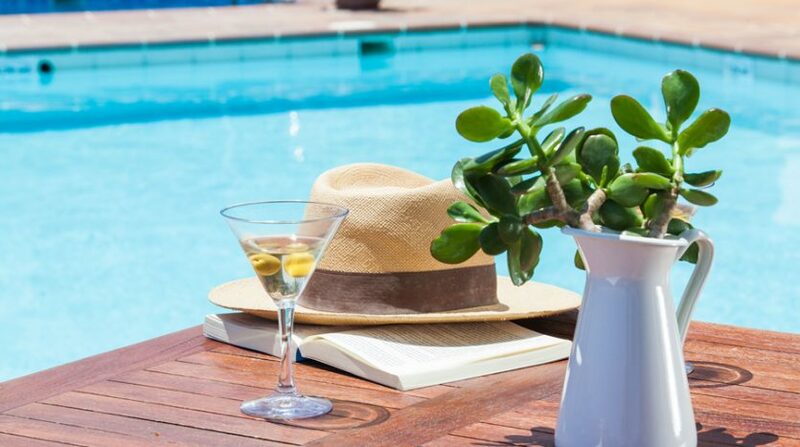 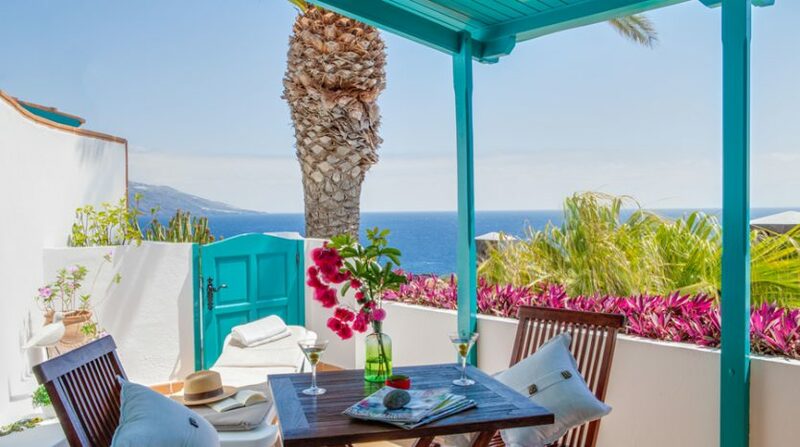 The complex covers approximately 4,000m² with eight modern holiday apartments (with a total built-up area of approximately 500m2), guaranteeing privacy and views. 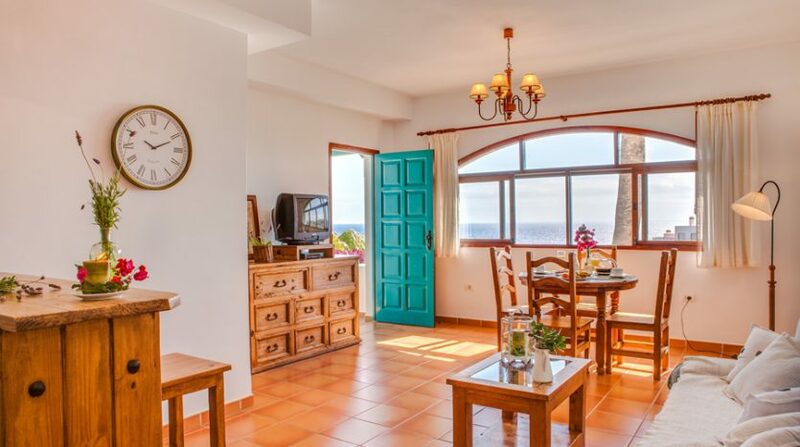 One apartment has two bedrooms while the other apartments all have one bedroom. 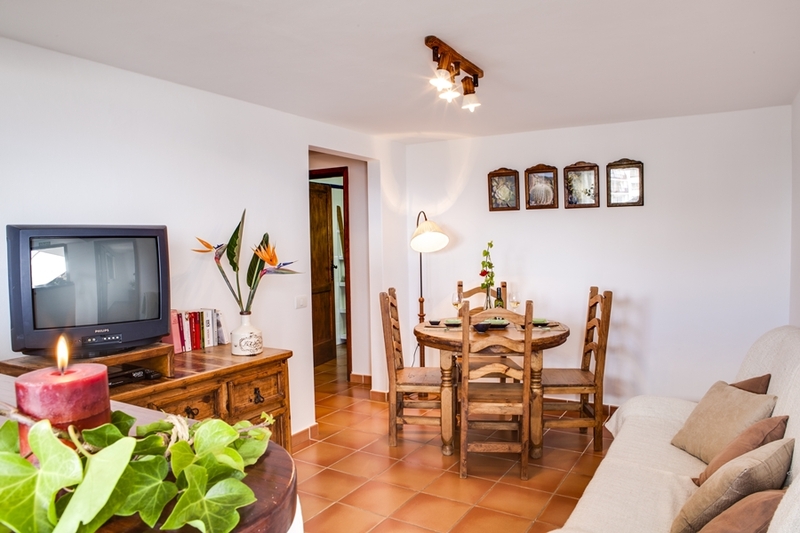 All apartments are in excellent condition and have been well maintained over the years by a permanent maintenance team, who have put their soul and bliss into the exploitation of this object. 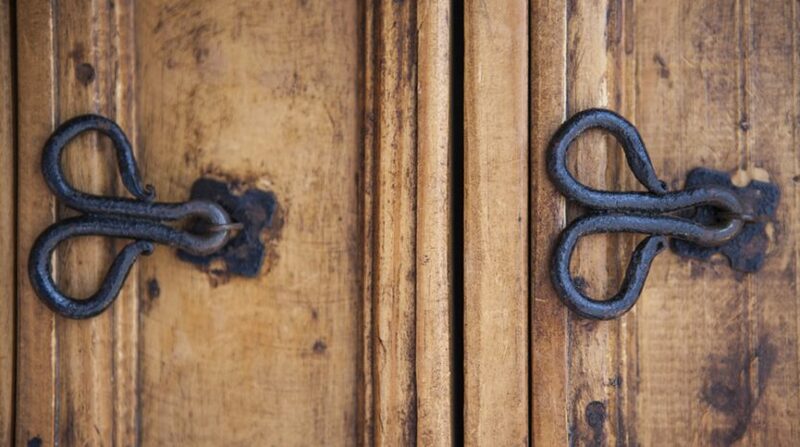 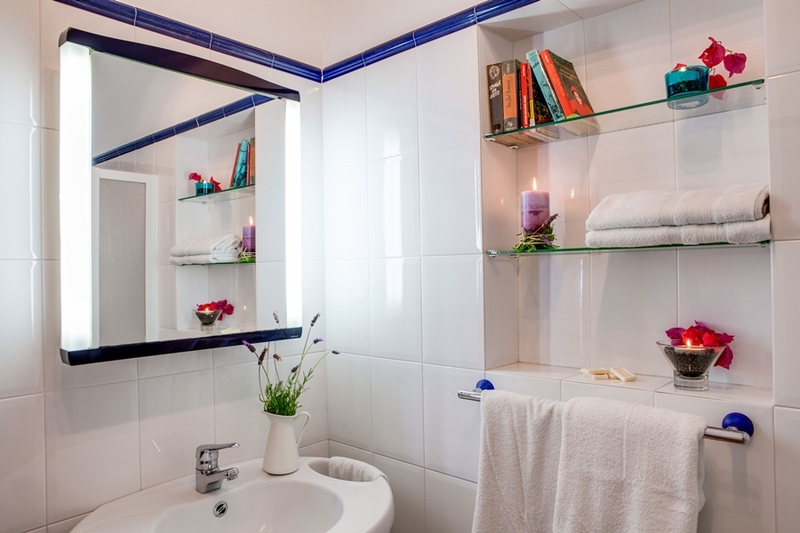 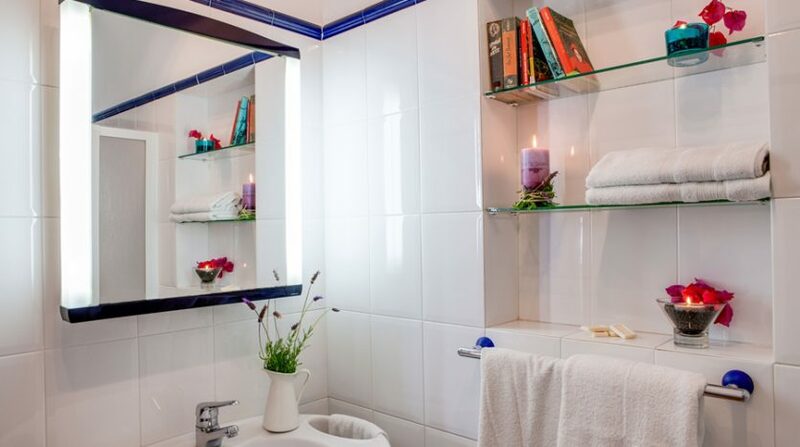 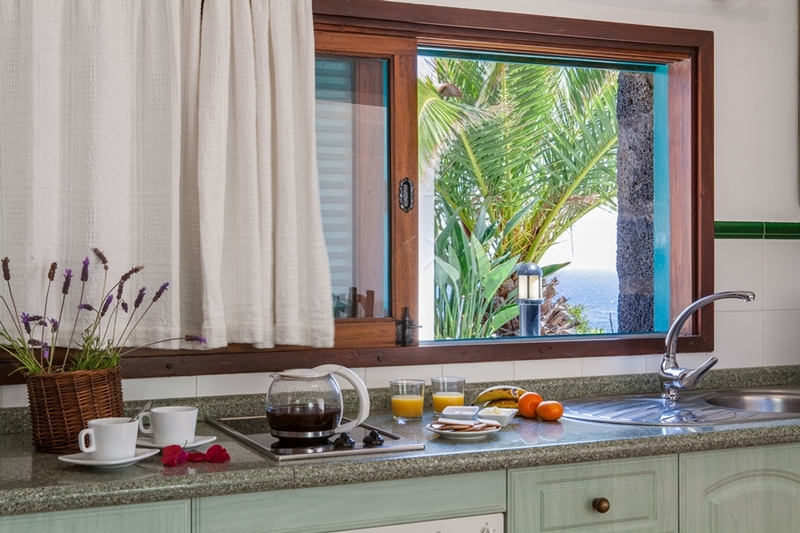 All apartments are well equipped, with kitchen, bathroom, living room and bedroom(s). 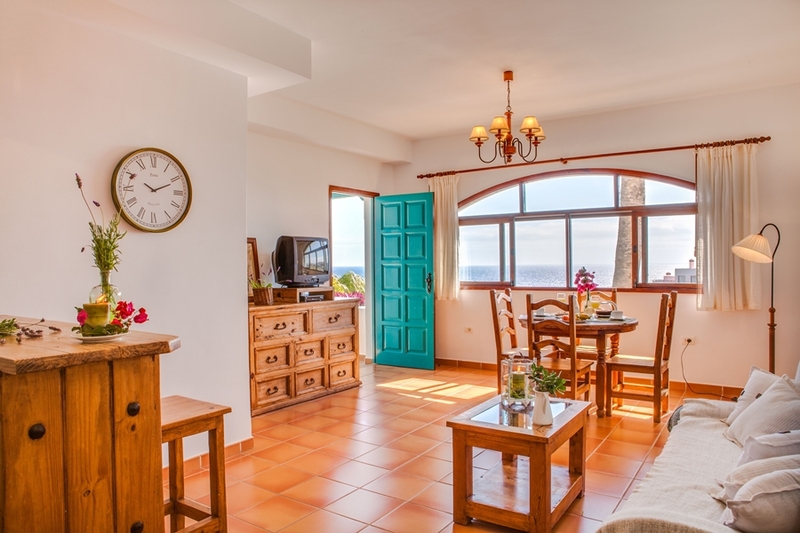 Wireless internet and satellite TV are also available in all apartments. 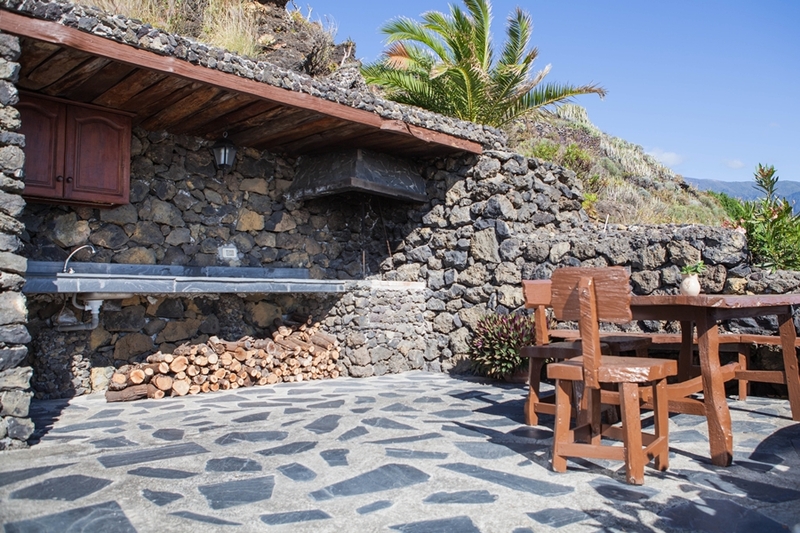 Beautiful lava gardens have been created throughout the park, giving the entire complex a volcanic and tidy appearance. 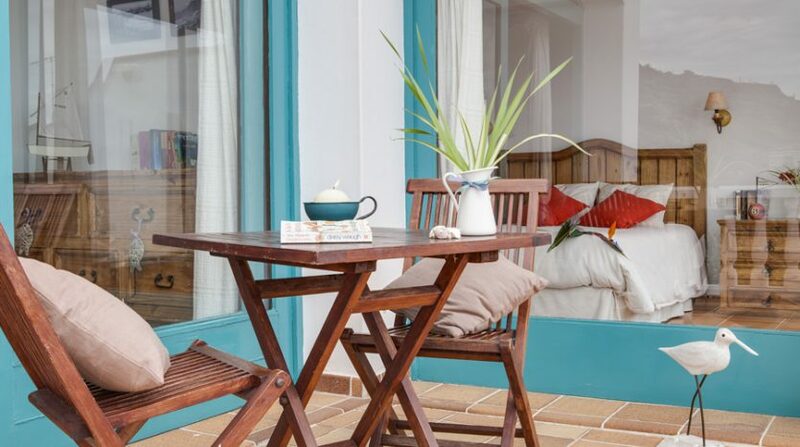 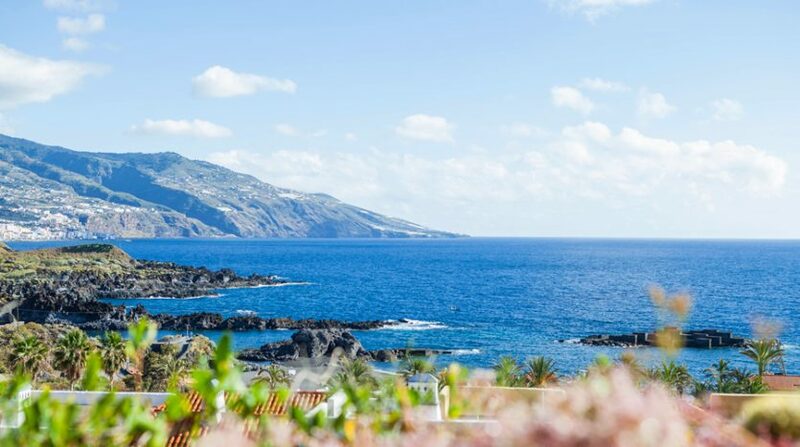 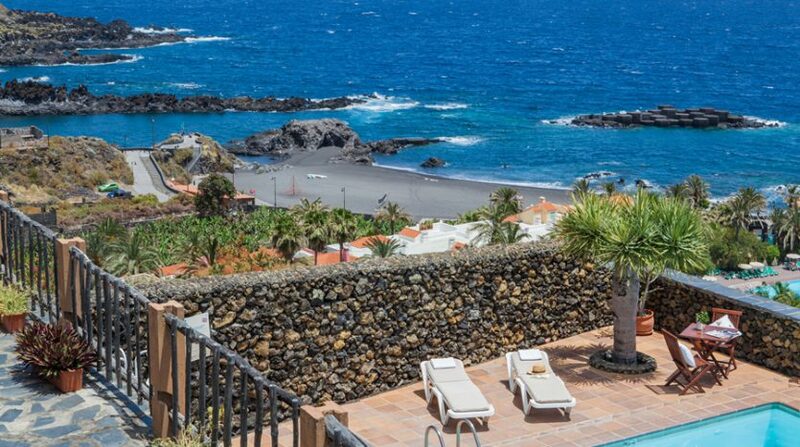 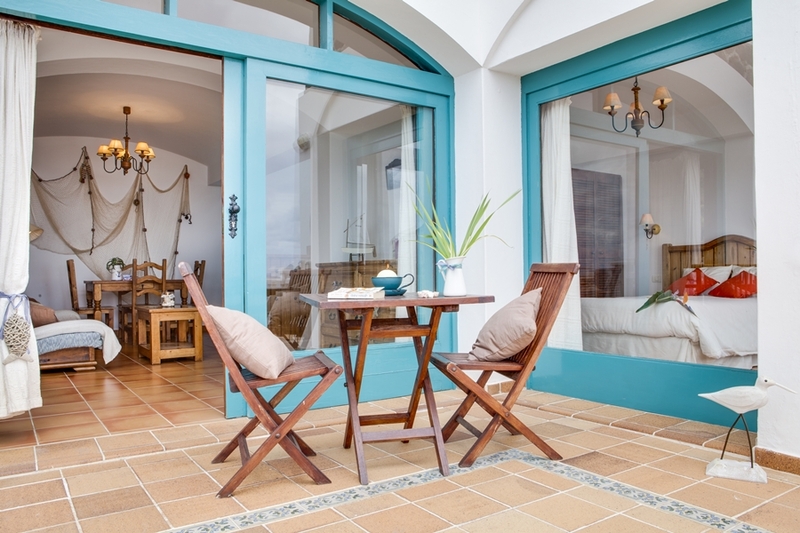 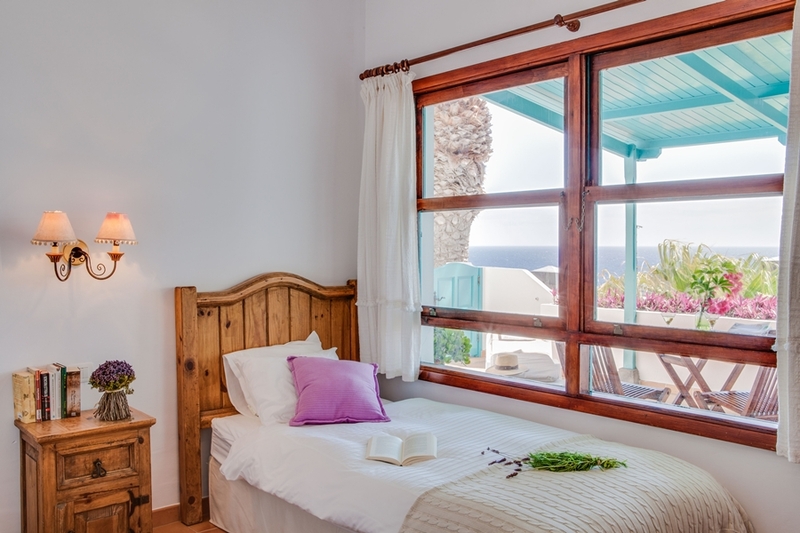 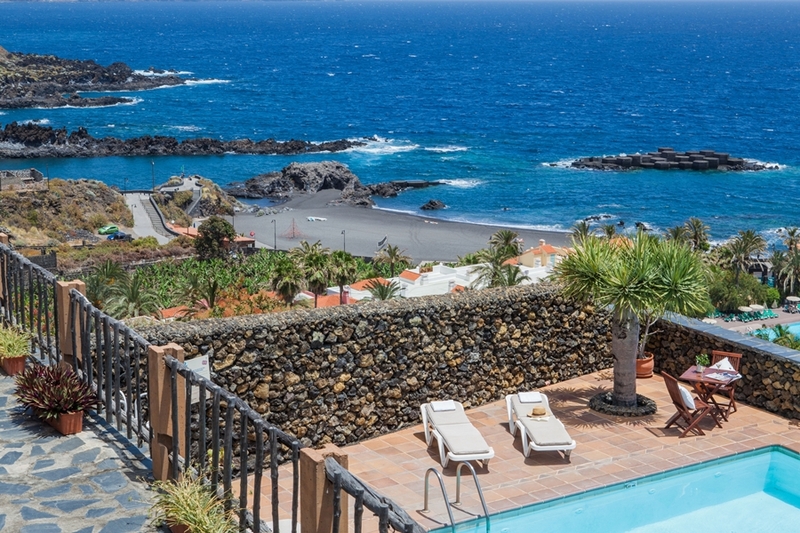 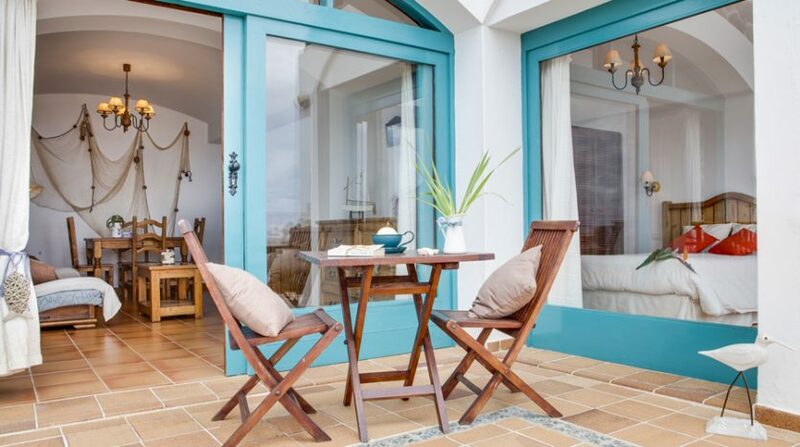 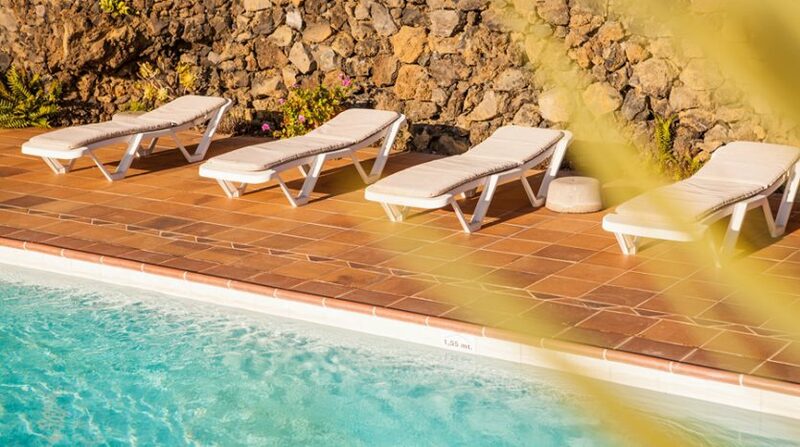 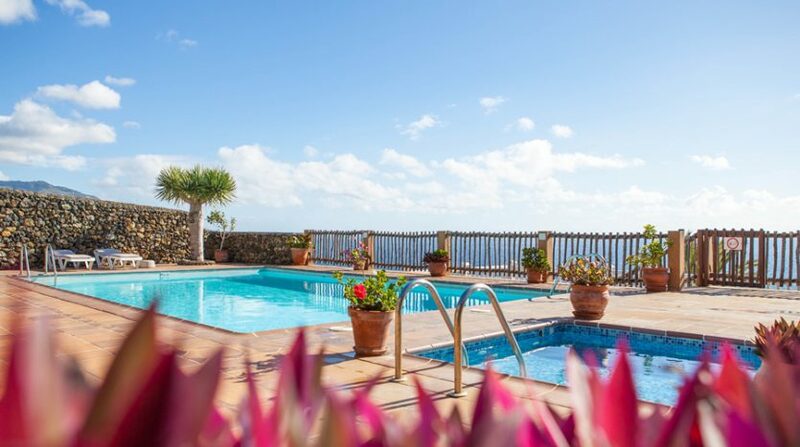 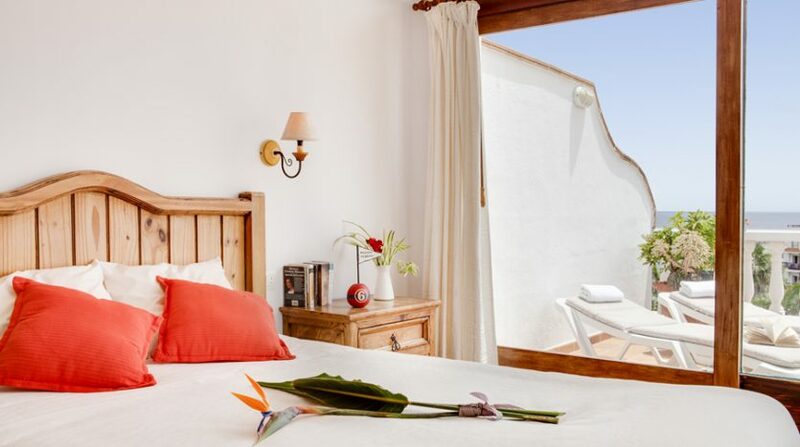 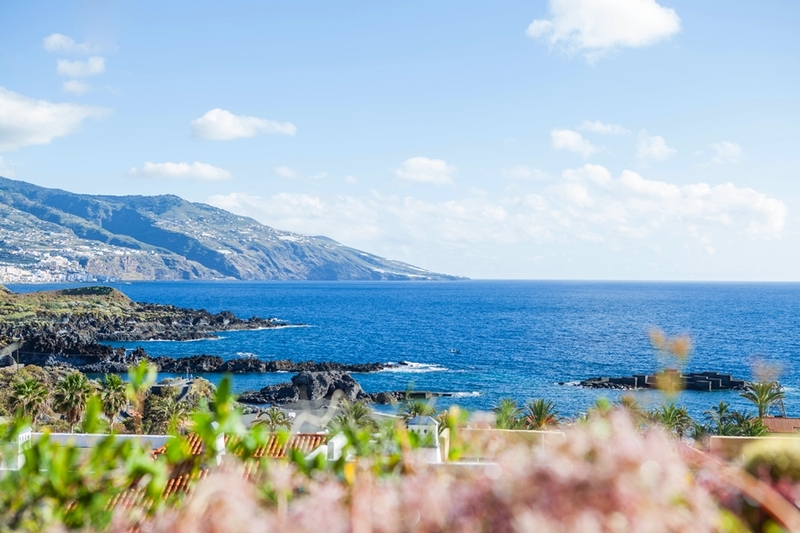 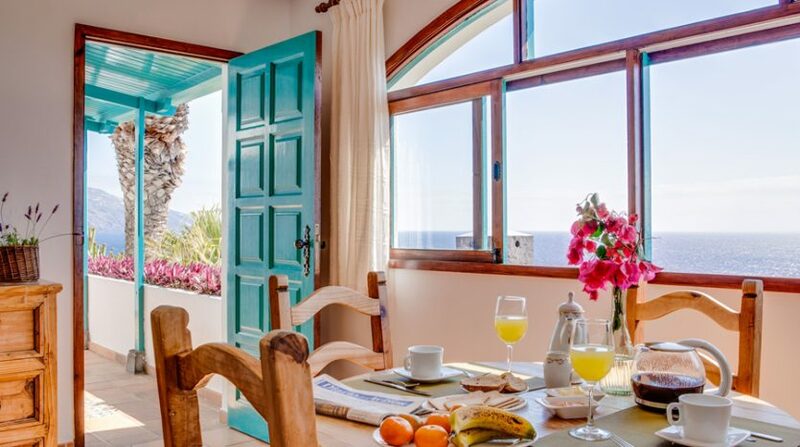 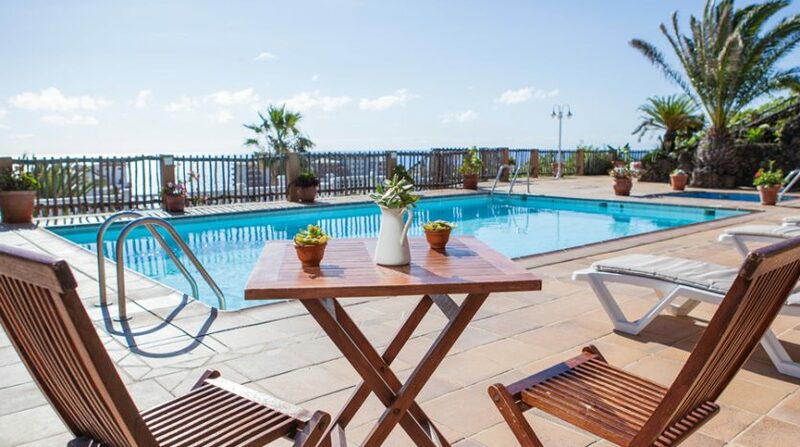 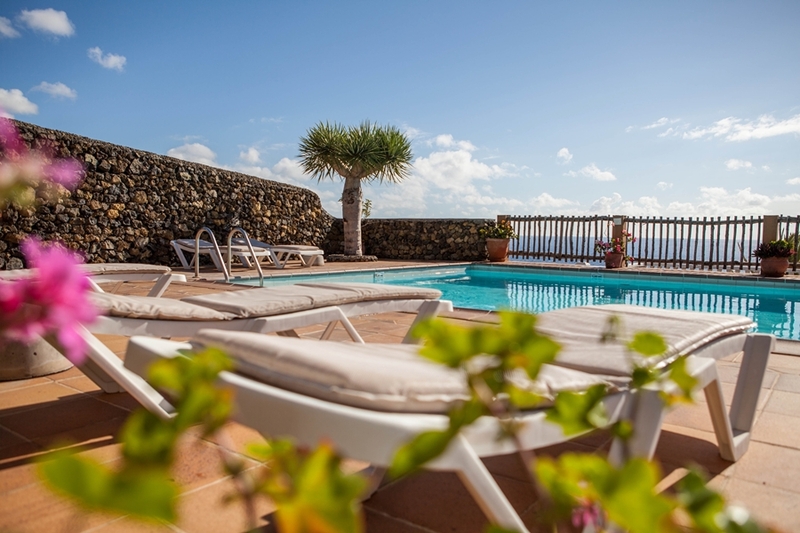 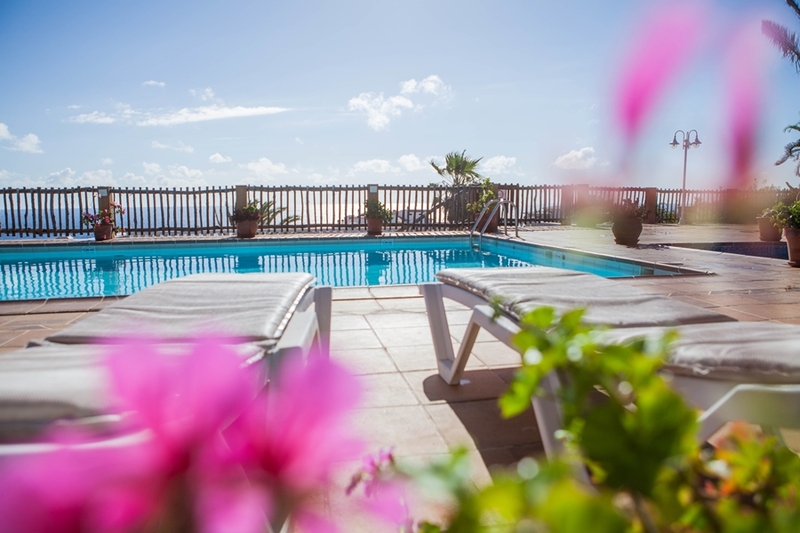 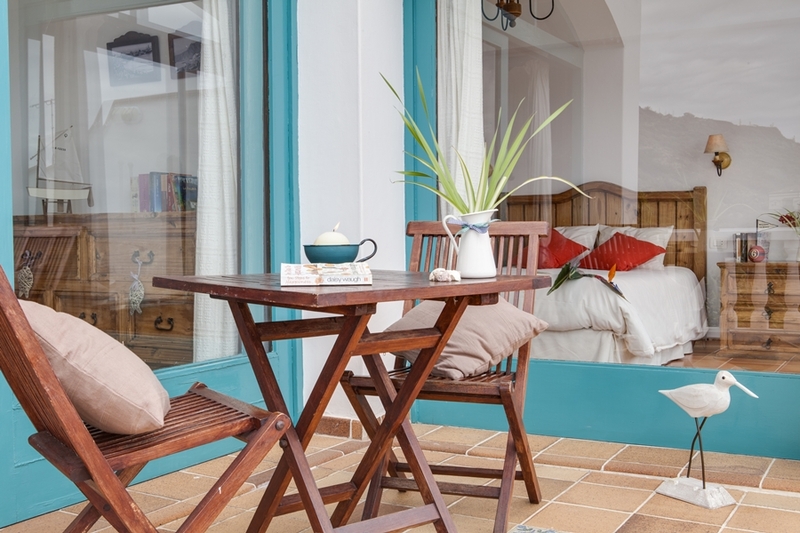 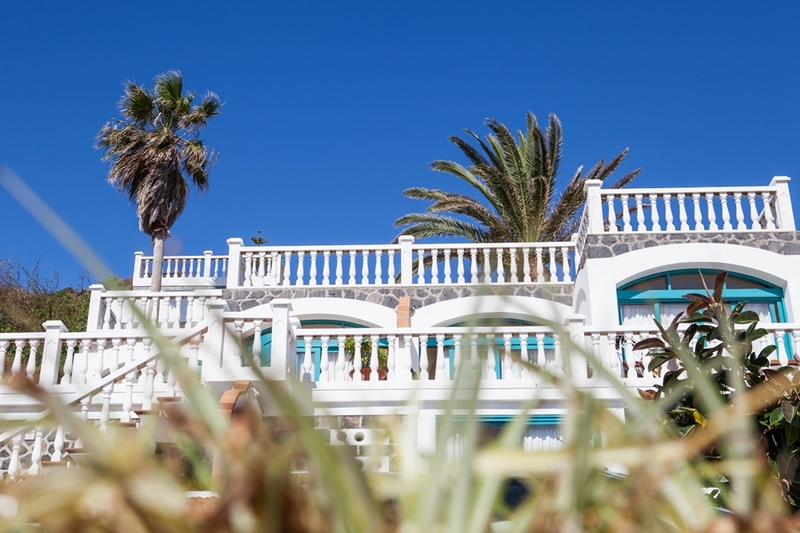 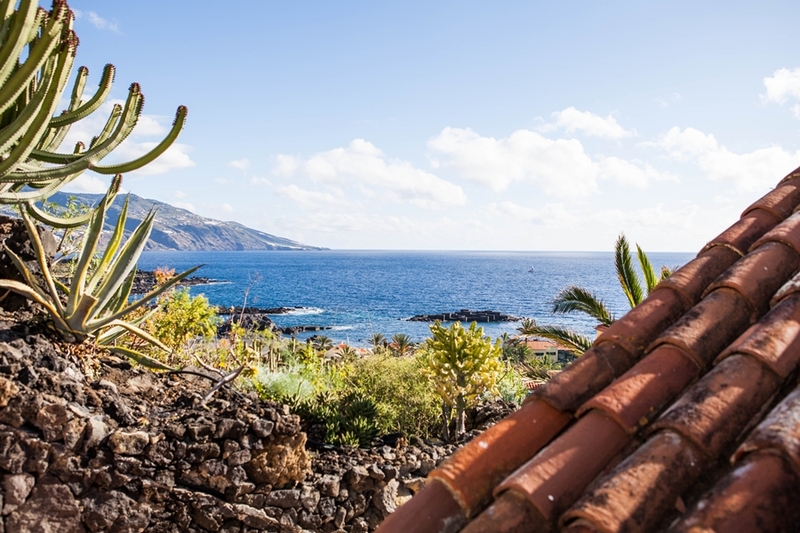 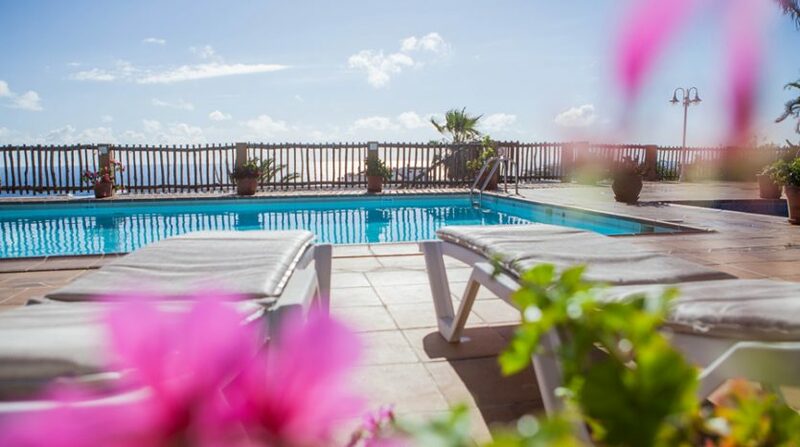 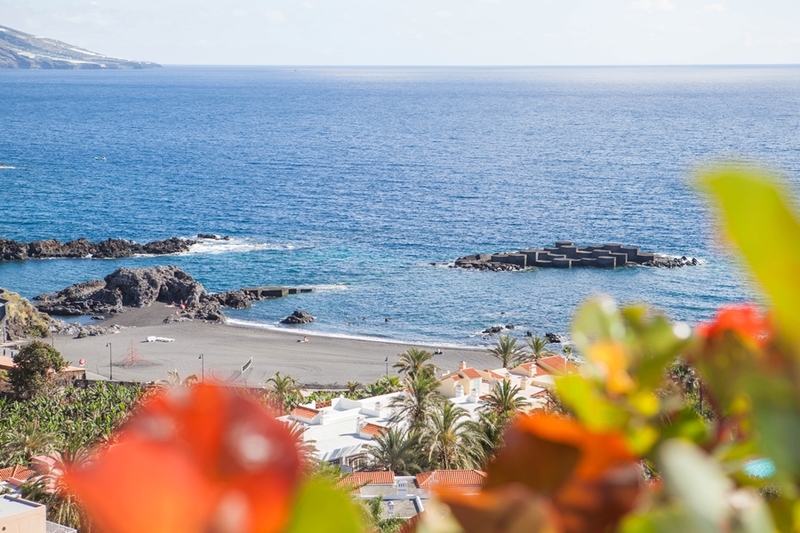 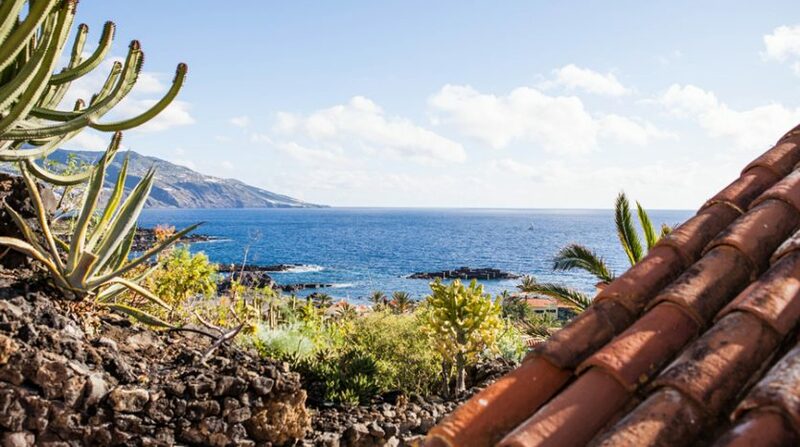 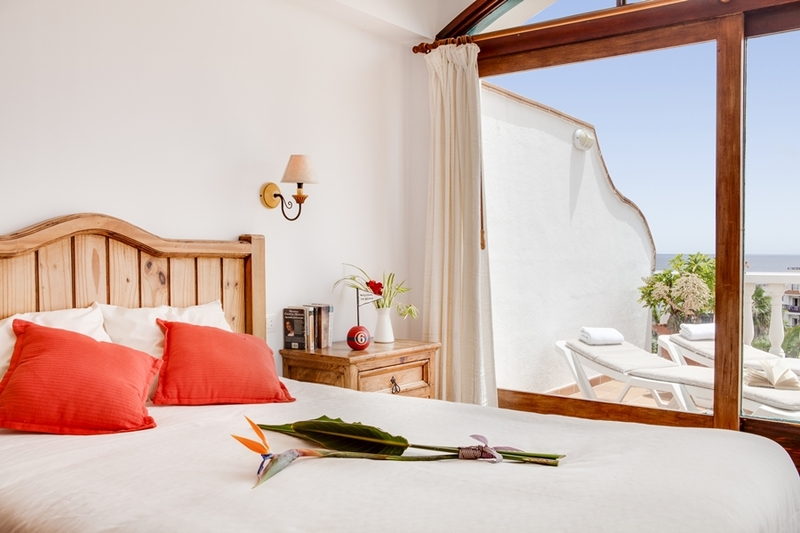 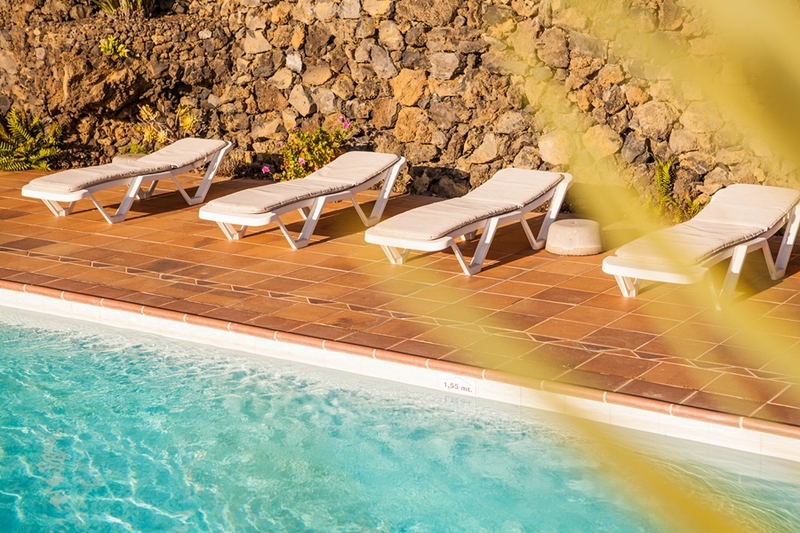 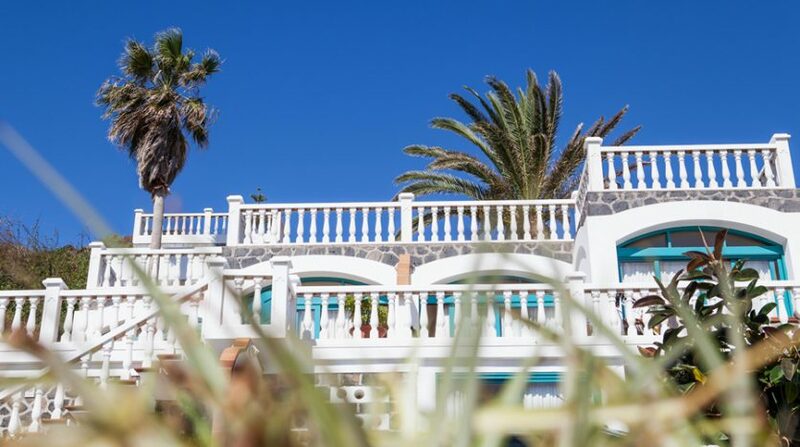 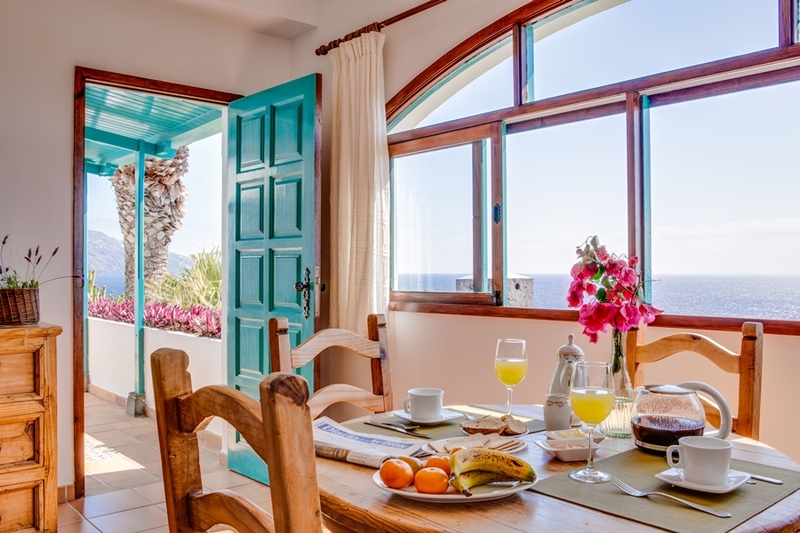 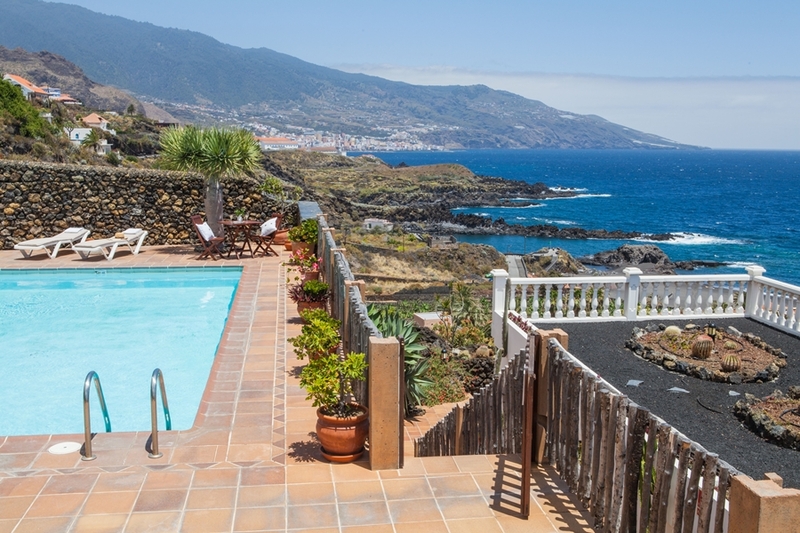 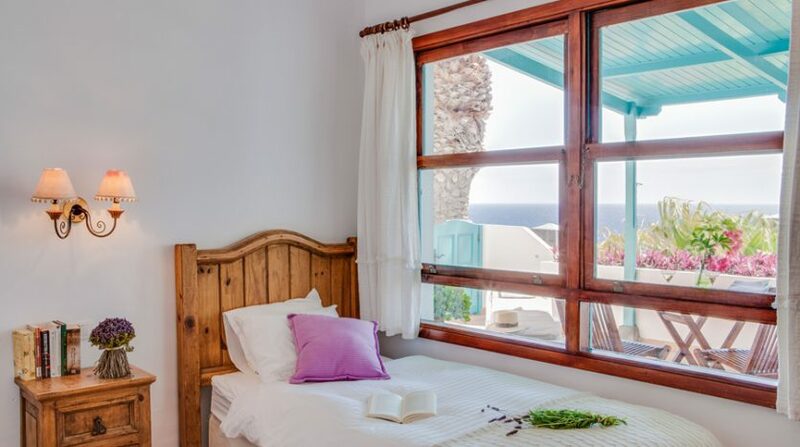 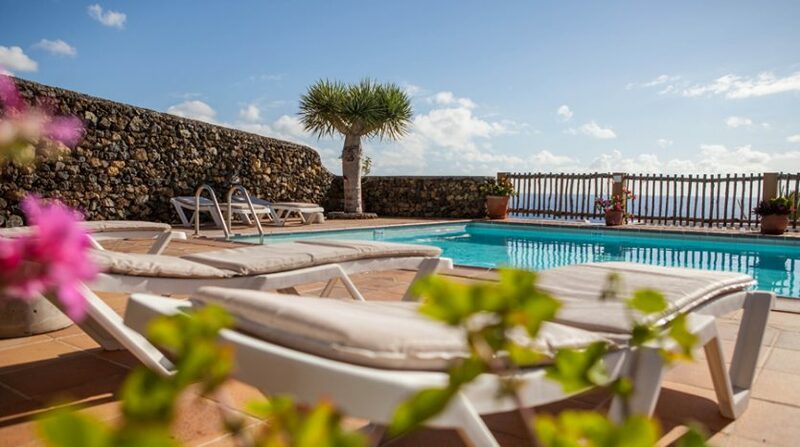 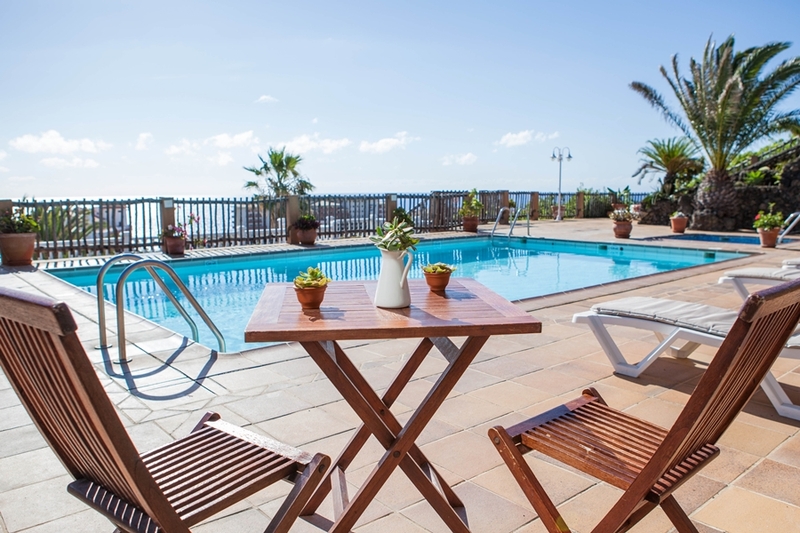 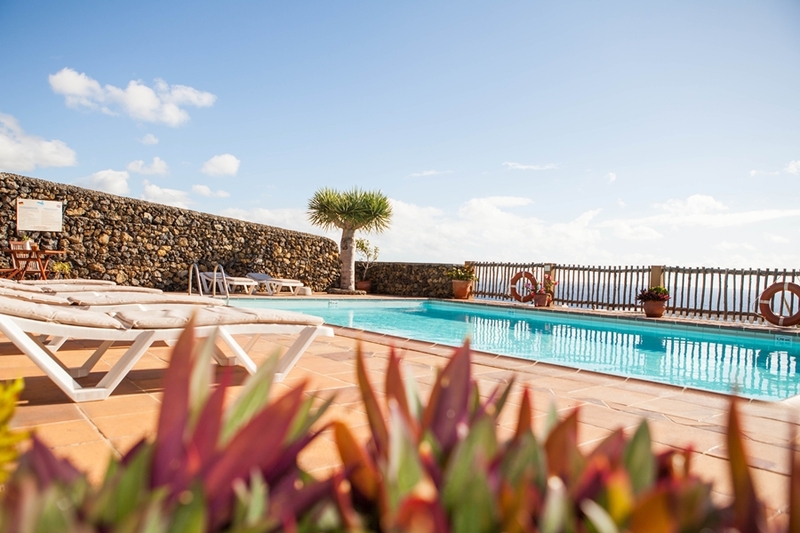 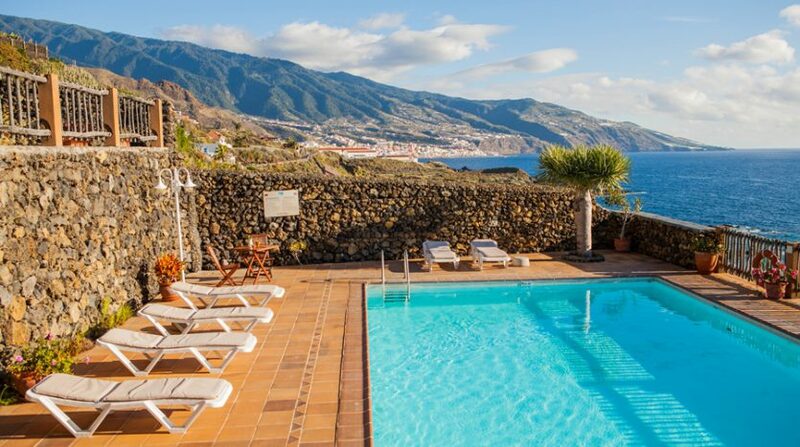 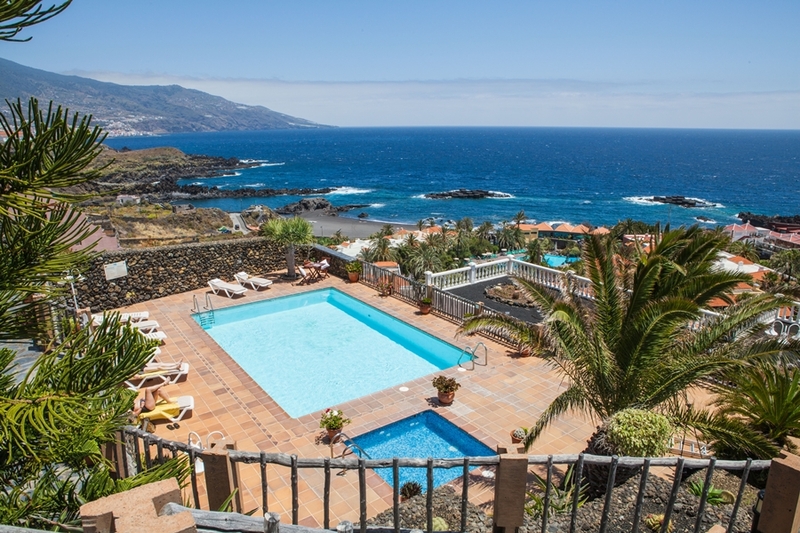 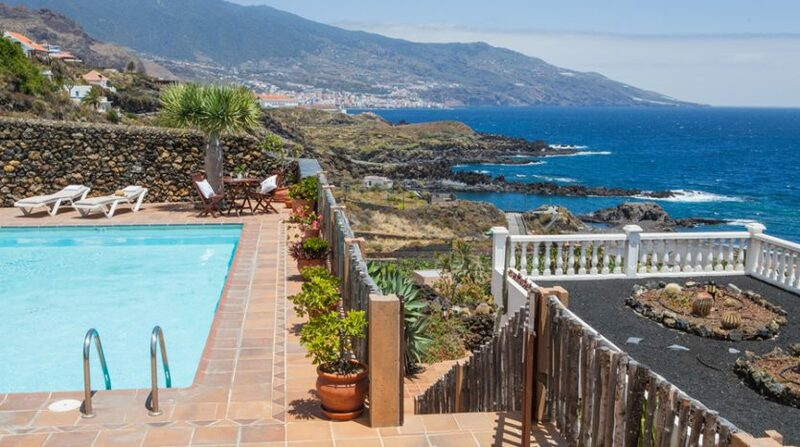 From all private terraces and from the swimming pool you can enjoy the beautiful view over the sea, part of the east coast and the capital Santa Cruz de La Palma. 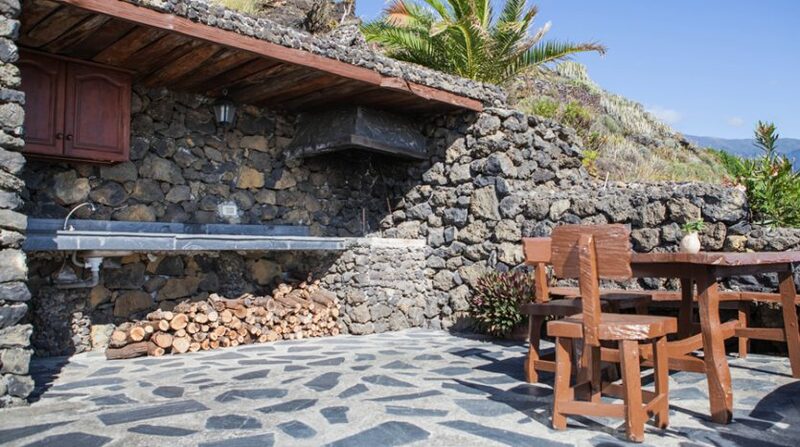 From the public sitting areas and the barbecue area on the highest level of the complex you can enjoy the view of the ocean, Tenerife and La Gomera. 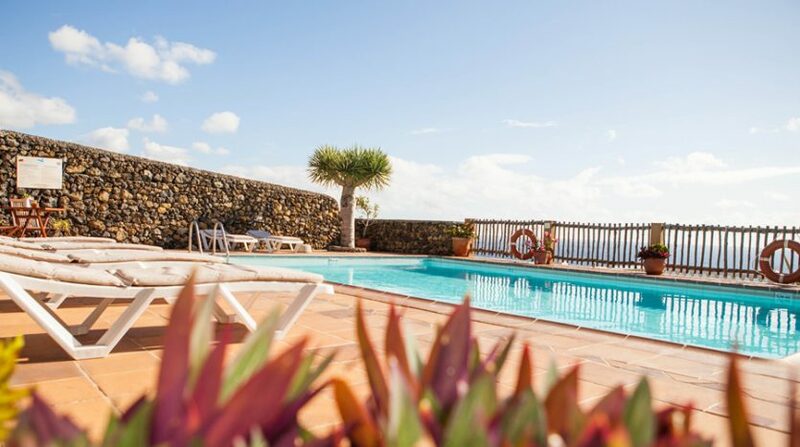 There is also a large swimming pool (9*5.5 m) and a small children’s pool (2.5*2.5 m) with a spacious sun terrace on the higher part of the complex. 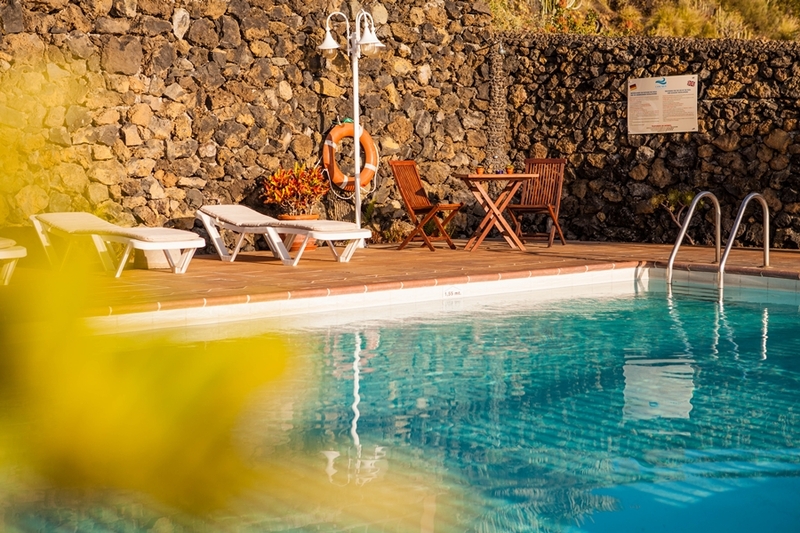 Finally, there is also on-site parking for guests, and ample parking is also available directly outside the gate. 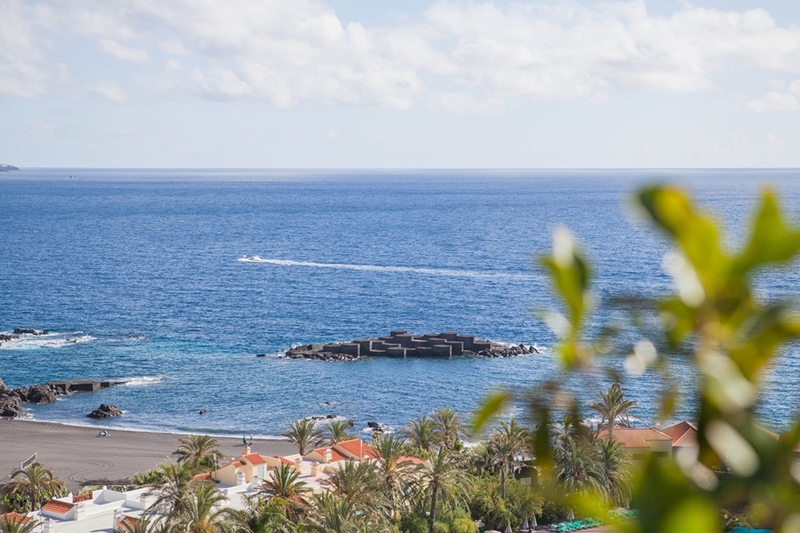 The park is relatively low in maintenance; the complete watering system is automated by means of an extensive irrigation system. 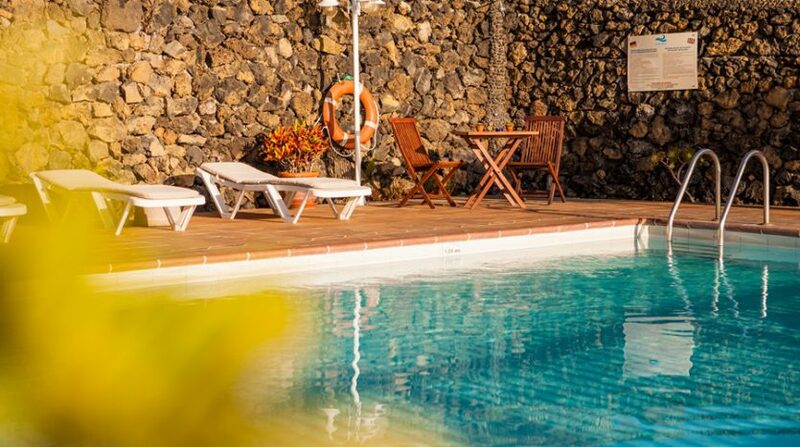 In this way, maintenance is kept to a minimum and the park can be easily maintained with little effort (read: low maintenance costs). 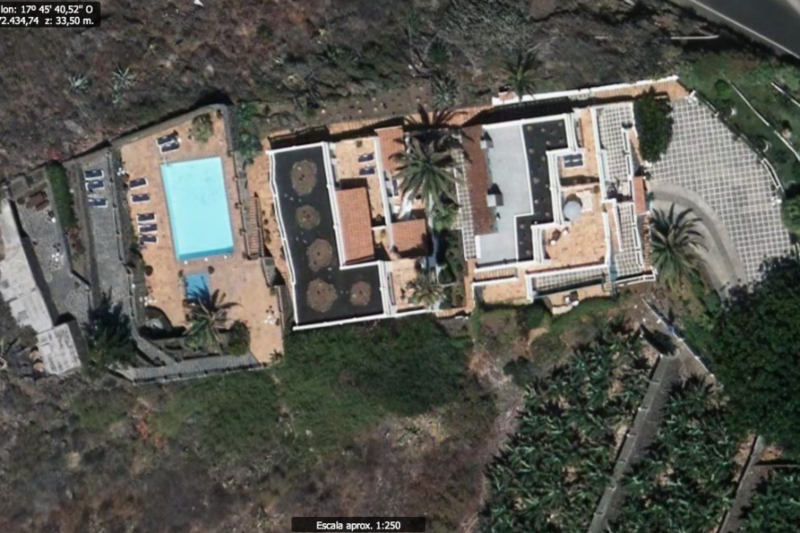 Furthermore, a large water tank with water rights is present for irrigation purposes. 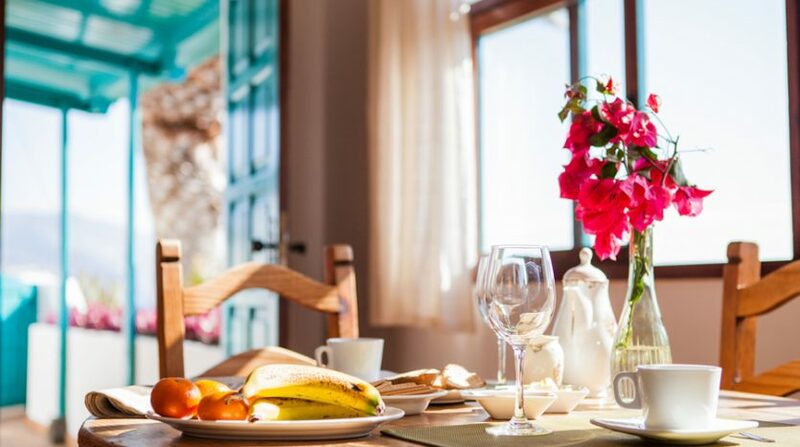 Today, the complex has an agreement with a hotel in the immediate vicinity for meals; this can be retained, renewed or cancelled, according to the wishes of the new owner. 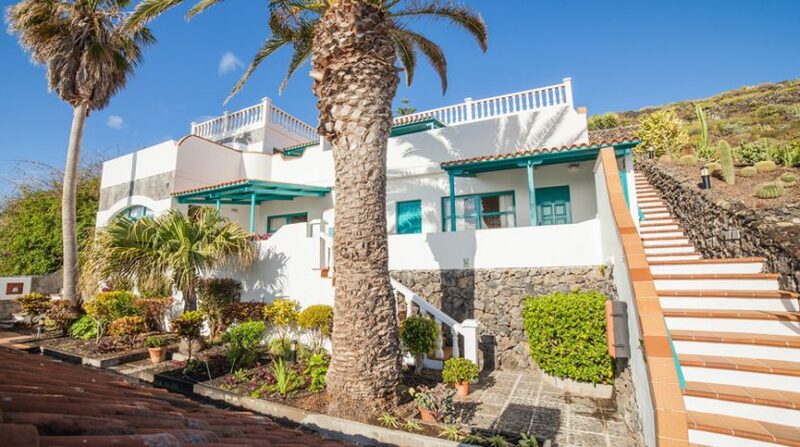 The current owner has maintained and operated the existing complex for all years with a fixed maintenance team and the complex therefore has a beautiful appearance, which is also reflected in the rental figures, with an average occupancy rate between 75 and 85% (numbers are available in case of apparent interest). 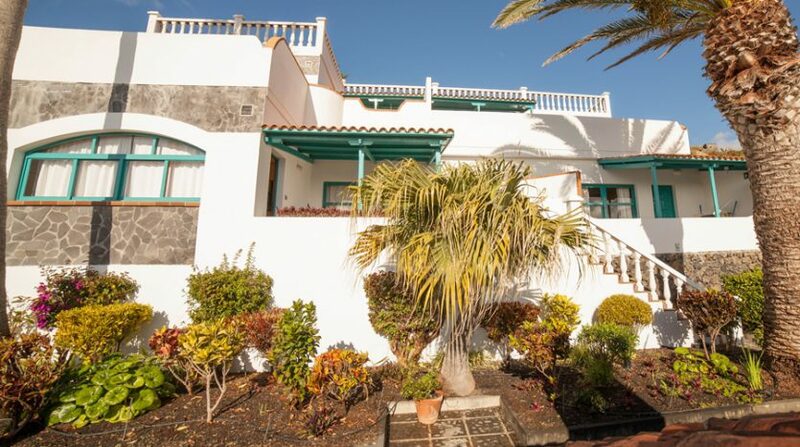 A wonderful investment property with a rental license. 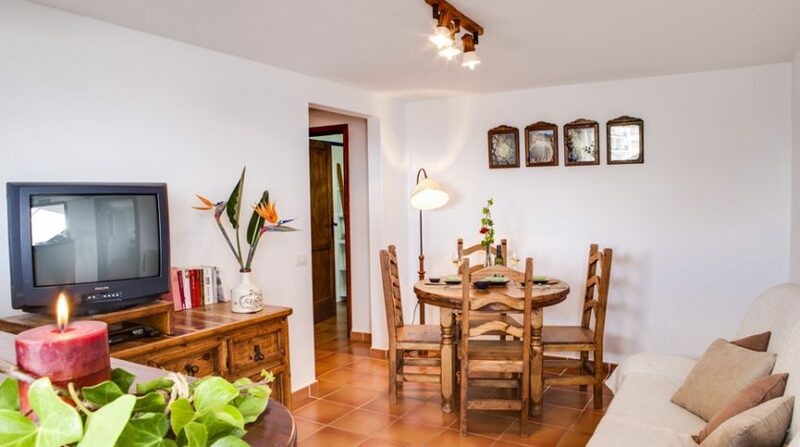 Fully operational with a booking agenda and with a very good occupation and high rental income. 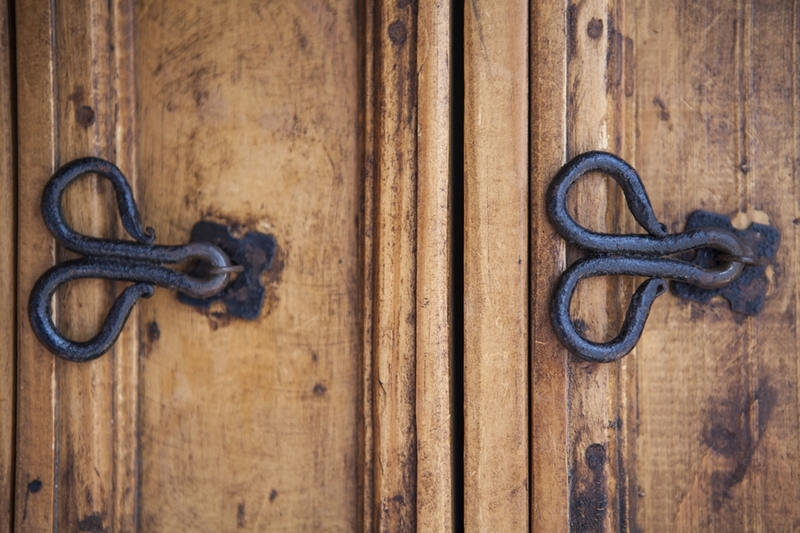 Contact us for this unique object.